Little old lady…..Little old LADY? Could it be true? 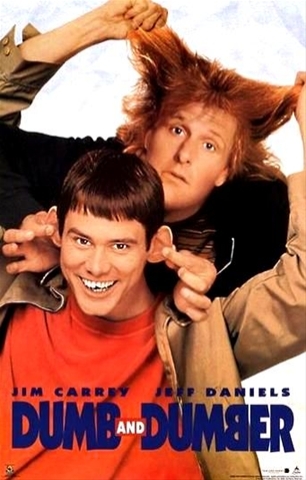 There are rumours swirling that Dumb and Dumber the “sequel” might be on its way. Bobby Farrelly recently spoke to Moviehole (http://www.moviehole.net) about the possibility of another movie. It’s been a while since we saw the fabulous Mr Carrey doin his thang, the master of physical comedy with brilliant timing…Watch this space…..Radio, who needs a radio? This entry was posted on Monday, July 4th, 2011 at 7:13 am	and posted in Uncategorized. You can follow any responses to this entry through the RSS 2.0 feed.